According to the Advertising Specialty Institute, logo’d writing instruments are the most commonly owned (50% of U.S. consumers own at least one) and the most often used promotional product at 18.2 times per month. 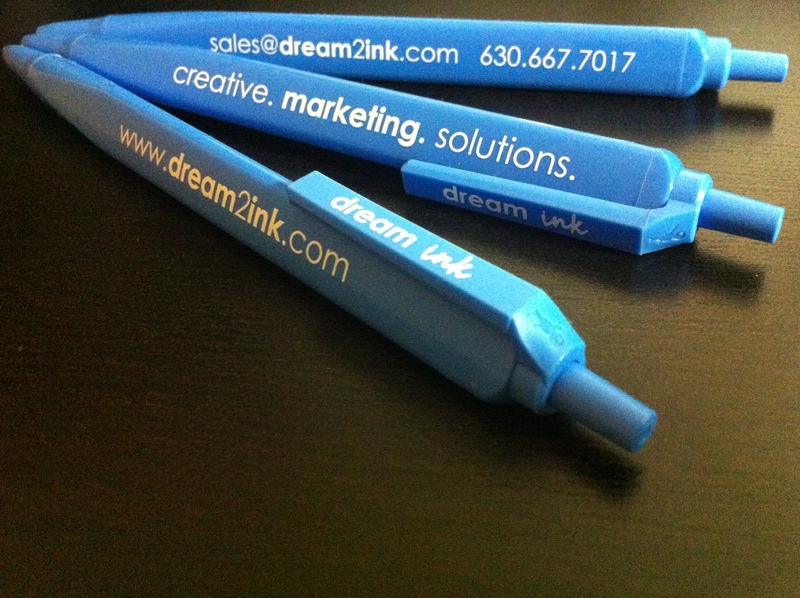 dream ink has used custom Bic Tri Stic pens to promote our company for several years. (Pictured above) We were genuinely surprised at the amount of positive feedback received, not to mention repeated requests to bring more for co-workers who were envious! 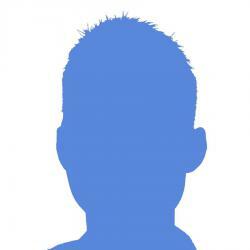 Here is just one example. A client remarked the three-sided design saved her from a “chase the rolling pen off the table” routine that had gone on in her Monday morning meetings for years. I have always believed marketing is all about building “positive interactions” and these generated laughs that otherwise may not have happened. 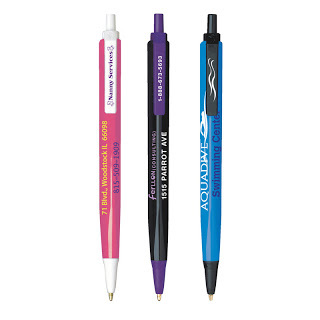 These pens provide much more than an opportunity to promote, they are an opportunity to make memories! Choose wisely! Did I mention these are printed in 48 hours for quick delivery? You can view all the details about custom Bic Tri Stic pens on their website by clicking on this link.